So, today is going to be crazy! I am taking my grandmother to the doctor and leaving the boys on their own. That means snacks are going to be eaten by all! The illustrator is already at work (he works at home) and the boys are warn out from skate night last night. So, with me gone, the boys are all going to be left to do food on their own today. 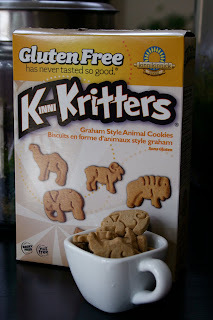 I got some of these KinniKritter animal crackers the other day and we all fell in love with them! They are dairy and gluten free, so they are completely safe for our household! The illustrator and I opened the box immediately to have a few with our cup of coffee in the afternoon and between us and the boys...they were gone by the next day. They are very similar to these animal crackers in texture and taste, but dare I say better??? I just did. 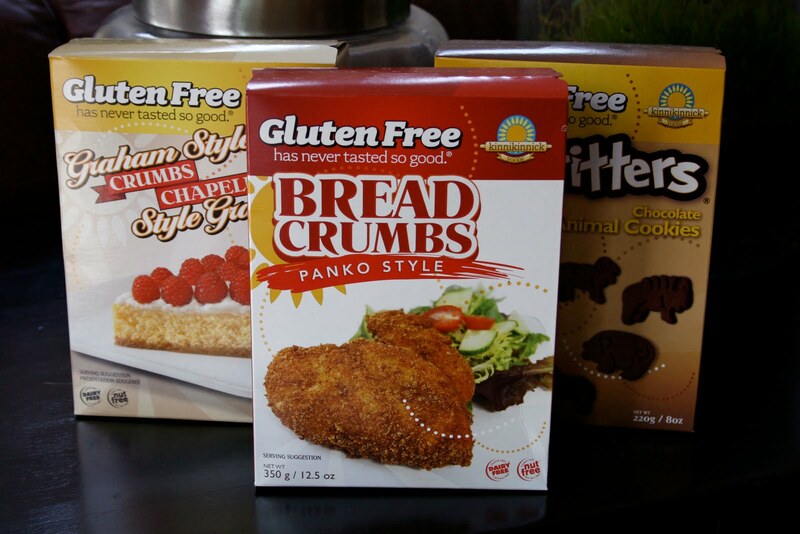 It is amazing how many times I hear the illustrator say that about gluten free products, because I feel the same way. I think it is because the flours actually have flavor! These crackers did not disappoint. The flavor is a cross between a graham cracker and an animal cracker. The texture is crisp and slightly powdery, so perfect with a cup of coffee or tea for an afternoon snack! They also come in chocolate, which was gone before I got a picture of it! They are similar in flavor to chocolate Teddy Grahams. I had not eaten an animal cracker in years, so this was such a treat for me! I love having snacks around here that we can all eat without worry. We don't always have time to make things from scratch and sometimes you just want something in particular that reminds you of the treats you loved as a kid. KinniKritters are definitely going to be my go to cracker when I have that animal cracker craving! I have a few other products from Kinnikinnick that I can't wait to try! The graham cracker crumbs are going towards this as soon as I find the time! Speaking of skate night...have you been in a while? We go skating every once in a while and it is a blast. Last night was a little crazy due to all the kids being on Spring Break. It was survival of the fittest out there, but it was a great workout and such a blast! The illustrator and I are only allowed to skate when we go on nights other than the school fundraiser nights, due to the embarrassment factor for the boys! Anyway, it is really a blast! Those snack crackers are so cute!!! 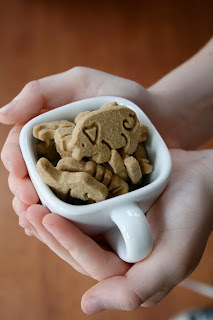 oh those animal crackers look great! Those snack cracker are really good. I bought them for a family that I grocery shop for and the kids LOVE them!! YAY! LMAO, so typical for your kids to be embarrassed that you would skate. If they only knew how cool that makes you guys. Animal crackers were my absolute fave when I was younger! Do these ones taste as good as the "real" ones?? I can't eat wheat or dairy either, so I am super excited to give these a try! great comment re intuitive eating. yes, giving our kids healthy options, 90% great choices, and the rest, well, life is to be enjoyed kind of thing. Great that you and your hubs have talked w/ your kids about this..that's awesome and that you're aware. Good luck w/ what you have to write about it all! Kris, they taste very similar to the Nabisco brand...from what I can remember. They have a slight graham flavor. They really are good!